Another new flavor for me to try from Zone Perfect on their Perfectly Simple line. This time, Cranberry Almond, which I also received in the mail to try for free. 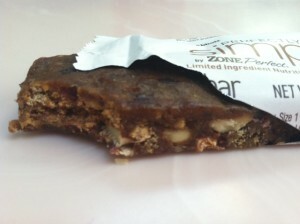 I opened up the bar and saw a light brown colored bar, with visible chunks of nuts and pieces. I took a bite, and was pleasantly surprised. It had a cranberry-pomegranate flavor, and also had apple flavored undertones. It was sweet without being overly sweet, but more of a fruit-kind-of-sweet.. It had that tang that cranberries and pomegranates have, but wasn’t so tangy that it was intolerable. The almonds added a tiny bit of a crunch, which was nice, and provided a mild flavor. What I noticed about this bar, similar to the last Coconut flavored bar I tried, was it’s “piecy” consistency. The last bar I tried was Toasted Coconut, so I chalked up the “piecy-ness” to the flakes of coconut. 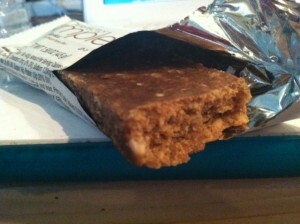 However, as I chewed this bar, I noticed it was kind of piecy in consistency as well. After looking at the dry ingredients, I assume it’s from the sweetened cranberries and pieces of each individual ingredient. Something new to try! 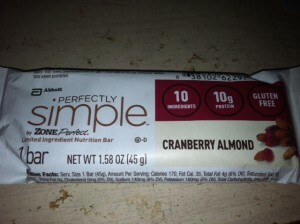 I got a free box in the mail from Zone Perfect that had three new bars of theirs from the “Perfectly Simple” line. Inside was a Toasted Coconut flavor, Peanut Crunch and Cranberry Almond. All of the bars are gluten free, have some protein in them, and have minimal ingredients. I decided to try the Toasted Coconut bar first. I opened the bar and it didn’t look as I expected. It was a rather dull color, with bits of what looked like nuts or coconut shreds and a rather dense bar. I broke off a piece, and realized it was a little dense. After taking a bite, I actually enjoyed it. A good amount of sweetness, it has a yummy coconut flavor balanced with some almond flavor as well. What I didn’t really like was the consistency. 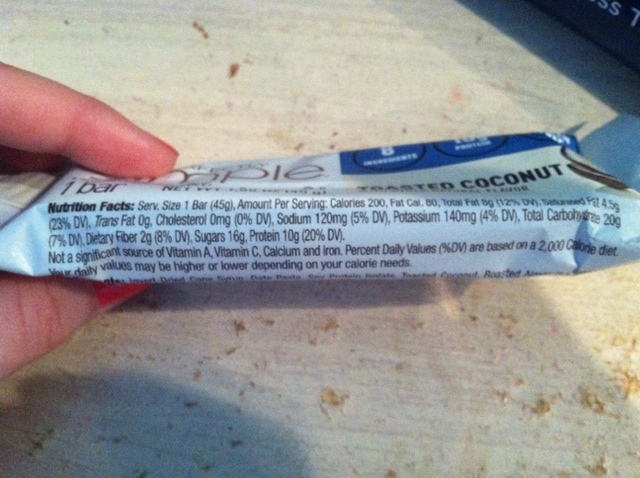 Although I appreciate that there’s actual coconut in this bar, it had that flaky/shredded coconut consistency when you bit into the bar. With every bite I felt shreds of coconut between my teeth. Some people like that, I happen to not, but that’s just me. However, the flavor made up for it. Loved the flavor, and the chewiness that the bar had to provide. I also like that it only has 8 ingredients, is gluten free, and has 10 grams of protein per bar. 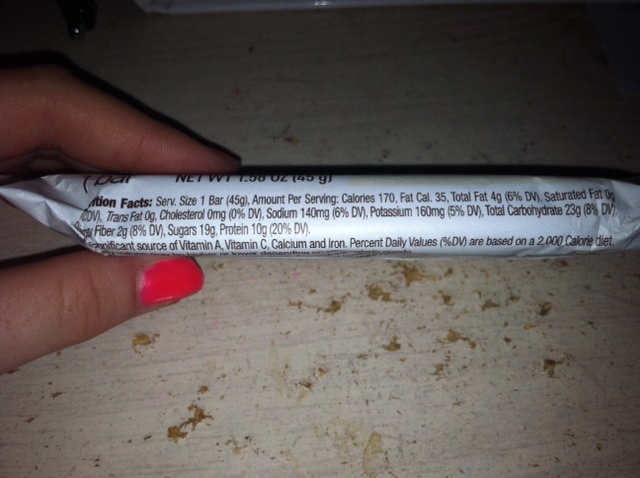 The bar’s first ingredient is also a form of sugar, which I didn’t like. 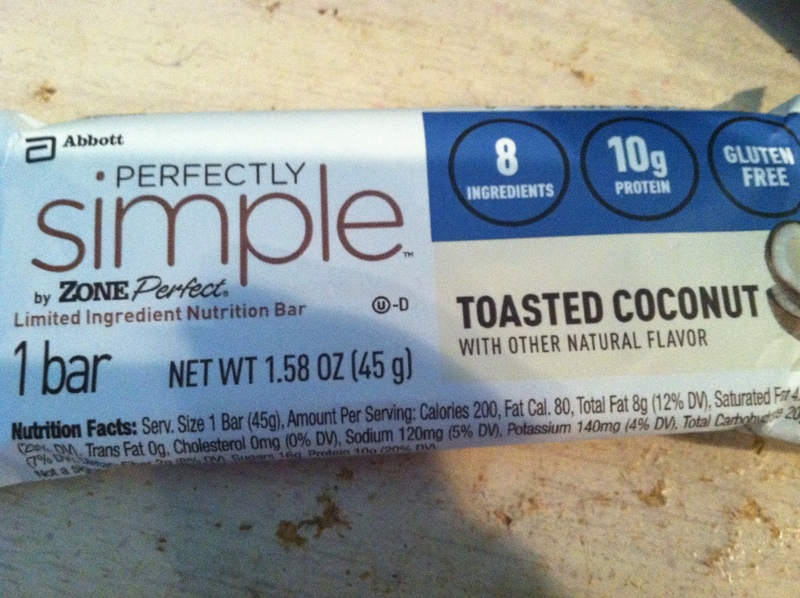 It is also a tad high in calories, this one is 200, and while I feel I can get many other bars with way more protein, I enjoyed this bar minus the consistency.